Wetlands and a sunset cruise in Port Douglas. On my most recent trip to Australia I was lucky enough to spend a week in Tropical North Queensland. Flying into Cairns after an overnight in Sydney, I collected my hire car and drove just over an hour to Silky Oaks Lodge. 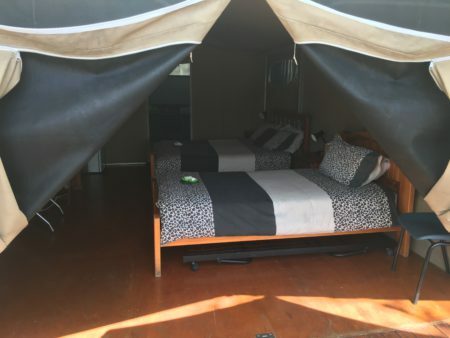 I was greeted with a welcome cocktail and then shown to my Treehouse overlooking the Mossman River, with my very own hammock on the balcony. It’s a perfect start to any trip as it is so peaceful and a great way to get over any jetlag. At the lodge there are a number of activities to enjoy, including swimming in the gorge or kayaking, as well as lots of guided and self-guided walks around the property. You can even join a yoga class. 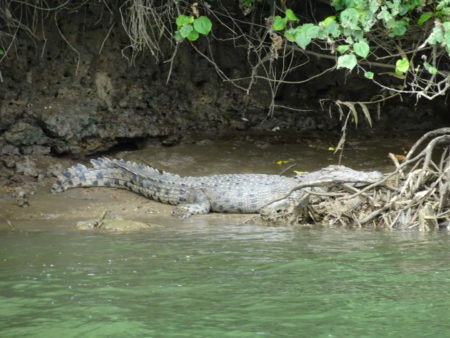 The following day was spent cruising the Daintree River in search of crocodiles. We saw a huge python wrapped around a branch high up in the tree canopy, which we never would have spotted without our guide, and just as we thought we might be out of luck with the crocs we spotted one at the side of the river sunbathing. The 2-hour cruise was a great opportunity to see the fascinating flora and fauna along the river. Next stop was Port Douglas where I spent a couple of nights at Thala Beach Nature Reserve. 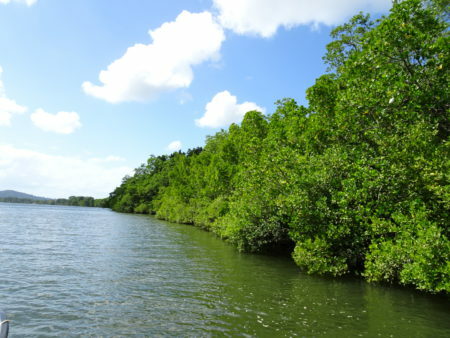 About a 10 minute drive from Port Douglas, Thala Beach is located on beachfront native forest beside a private beach. My room had beautiful views overlooking the ocean, and was again another very relaxing and peaceful location. Thala offers daily activities including bird walks, star gazing and talks with elders from the local aboriginal community., We were lucky enough to see and enjoy a traditional didgeridoo performance. No trip to Port Douglas is complete without some sort of cruise; I joined a Sailway Sunset Cruise which is a great way to enjoy the sunset. 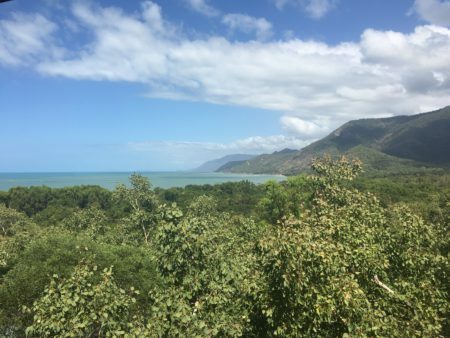 With a full day in Port Douglas I drove north to Cape Tribulation where two World Heritage sites meet: the Daintree Rainforest and the Great Barrier Reef. Along the winding road to Cape Tribulation my first stop was the Alexandra Look out which had superb views out to the ocean. 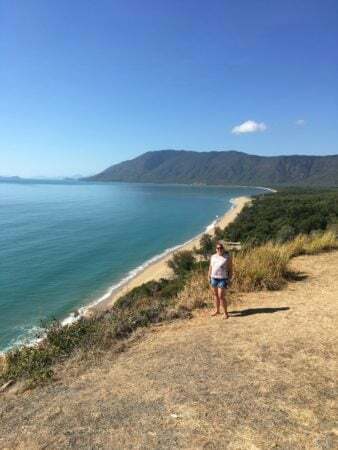 There are a number of short walks and beaches to visit on the drive, but Cape Tribulation is the most beautiful beach and with very few people there too. On our way back to Port Douglas we stopped at Mossman Gorge which is well worth a visit; you have to take a bus from the visitors centre and a boardwalk takes you to the gorge. Some days you can swim in the crystal clear waters if safe to do so. I took a walk along the Rainforest circuit track – about a 45-minute walk through the forest. There are Dreamtime walks conducted by the local aboriginal people which you can also do. 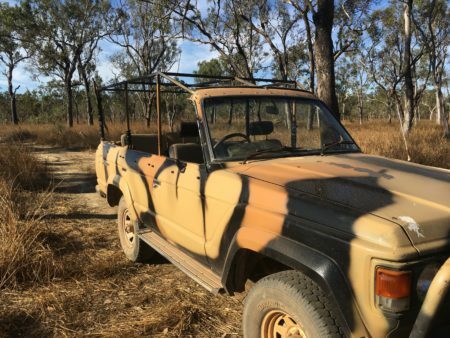 Continuing my road trip, I drove out to Jabiru Safari Lodge in the Mareeba Wetlands for a wildlife safari adventure. As I drove into the outback the temperature gauge rose and the roads became redder. My home for the night was an African style safari tent in the savannah woodland. The wildlife evening safari started with a cruise on the wetlands then hopping into a 4WD armed with binoculars for bird spotting. 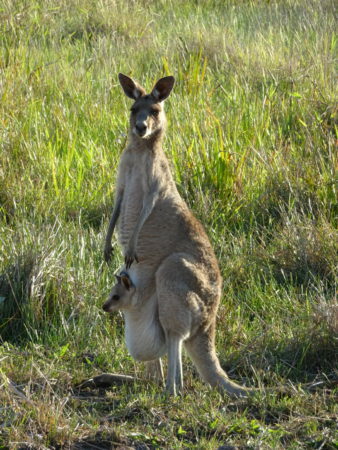 This is truly a bird lover’s paradise, I managed to spot a variety of different species of birds and even kangaroos along with their baby joeys. 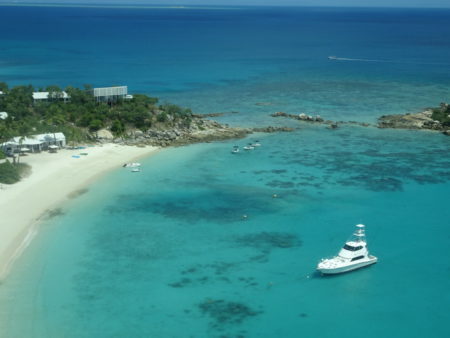 My next stop, and perhaps what Northern Queensland is most famous for, was the Great Barrier Reef and somewhere I have wanted to visit for a few years now, Lizard Island. The 1 hour flight was spectacular in itself, looking down over the coral reef then coming into land over the beach. On arrival I was greeted with a glass of bubbles and after a swift check in taken to my table to enjoy lunch overlooking the ocean. I was then shown to my Beachfront Suite, the large white and blue rooms opened out onto my own decking area and daybed overlooking the ocean with uninterrupted beach access. With only 2 nights on Lizard Island I had to make the most of my time, so the next morning I joined the half day inner reef trip, snorkelling over so many colourful fishes and corals. Back at the resort with a lunch hamper in hand I took out my own dingy to Watson’s bay, one of the 24 beaches on Lizard Island, for a relaxing afternoon on a secluded beach. The food at the lodge was fantastic with the menu changing daily for breakfast, lunch and dinner. The next morning I joined a tour to the Research Station, which attracts coral researchers from all around the world. There was time for one last snorkel from the beach before lunch. Late afternoon I boarded the flight back to Cairns and civilisation, gazing out of the tiny plane window and day dreaming about my return one day…!